Vimto Out of Home has consolidated its distribution, scheduling, billing and stock management with Portech Systems’ Field Service Executive workflow management system. 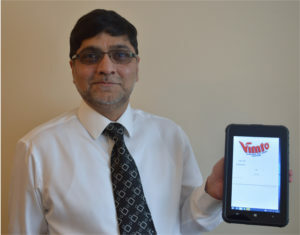 Following the acquisition of frozen drinks supplier The Noisy Drinks Co. in 2015, Vimto had been operating a combination of paper-based job management and a previous version of FSE developed for the frozen drinks market. Now, Portech’s new FSE serves all of Vimto OoH’s mobile field staff and provides a unified view of stock, work and assets across all parts of the business. The new FSE system provides a centrally managed data collection point that communicates with Vimto OoH’s range of mobile computing devices, and eliminates the need for drivers to make multiple return visits to a depot each day. The system also integrates with Vimto OoH’s Sage invoicing system and legacy IT systems, reducing the time taken to generate invoices and improving data quality. Graeme Hodges, internal operations manager at Vimto Out of Home, said: “Portech is a great team. The support is perfect for our needs, very flexible and responsive. With remote access to servers and data, the Portech team can dial in very quickly and securely to help us service our customers.